Combine the beauty of scenery with the sumptuous taste of delicious foods with this range of cruises at Mooloolaba on the Sunshine Coast and this gift voucher is bound to be a hit. Whether they're fine with a snack or want to go all-in on a delicious seafood buffet or platter, the choice is yours - just remember that the Sunshine's Coast seafood is heavenly-fresh! 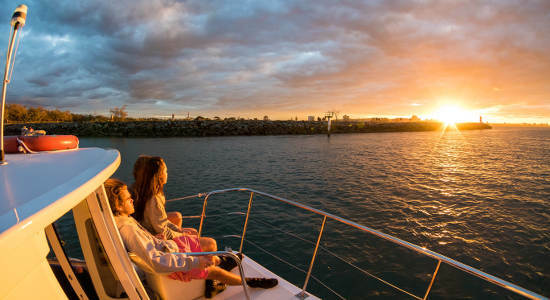 During lunch time or at sunset, the lucky voucher recipient will glide along the waters of Mooloolaba on these tours that emphasise relaxation and help unwind to an extreme level of comfort and satisfaction. For unique dining experiences coupled with unique views, simply select your preferred cruise from the list of available choices below, and get ready to help someone set sail for an optimum balance of relaxation and dining enjoyment. 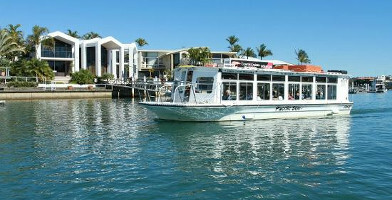 Enjoy the spectacular Mooloolaba sunset while cruising on the Mooloolah River, Harbour and Canals. Dinner and drinks may be purchased on board. Cruise along the Mooloolah River while enjoying a fresh seafood lunch and picturesque scenery with this cruise gift voucher. Find out more here!